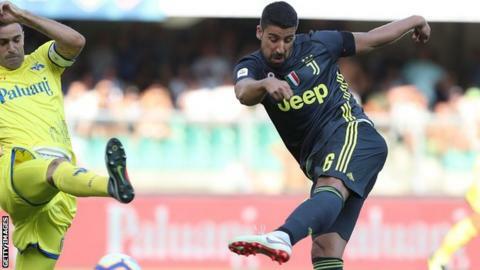 Germany midfielder Sami Khedira has signed a two-year contract extension at Juventus, that will keep him at the Serie A club until 2021. The 31-year-old World Cup winner joined Juventus from Real Madrid in 2015. and was was linked with Liverpool and Paris St-Germain in the summer. He scored Juventus' first Serie A goal of the season to take his tally to 20 in 80 league games for the Bianconeri. Khedira is a three-time Serie A and Coppa Italia winner.